One of Ireland’s largest dairy farms, with 1,000 cows, has recently installed Dairymaster’s herd and fertility monitoring system. Tom and Simon Browne from Greenhills Farm in Co. Cork operate a spring-calving dairy herd, which has plans to calve 1,000 cows next year. The Browne’s installed a 60-unit rotary milking parlour in 2000 and the cows in the herd have now been fitted with the MooMonitor+ monitoring device in the past few days. Tom Browne says that technology is always changing and improving. 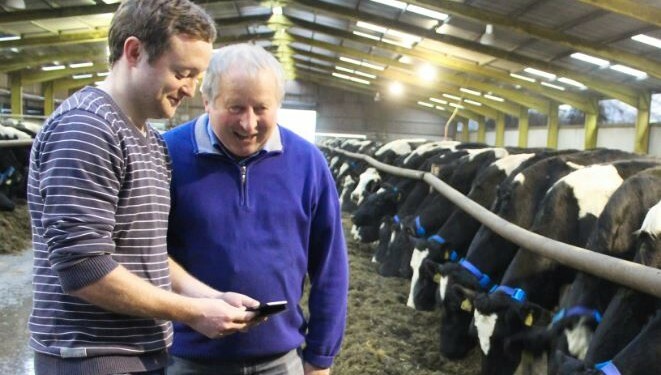 “The MooMonitor+ gives us more information about all our cows to help us make better decisions. 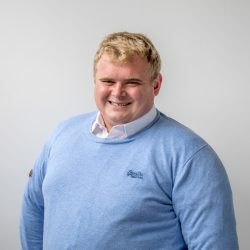 The MooMonitor+ system provides farmers with a consistent and reliable system to detect heat in their herds, according to the CEO of Dairymaster Edmond Harty. Research shows that the majority of heats start between 8.00pm and 6.00am when the farmer should be asleep. “This can have a big impact on the profitability of a farm, as it is a vital job to recognise when a cow is on-heat and a missed heat can cost €250/cow,” he said. The average 100-cow dairy farm in Ireland is losing €6,500 on an annual basis due to an extended calving interval, said Harty. What does the MooMonitor+ do? The device allows farmers to monitor heat, resting, feeding, restlessness, rumination and wellness 24 hours a day, seven days a week. 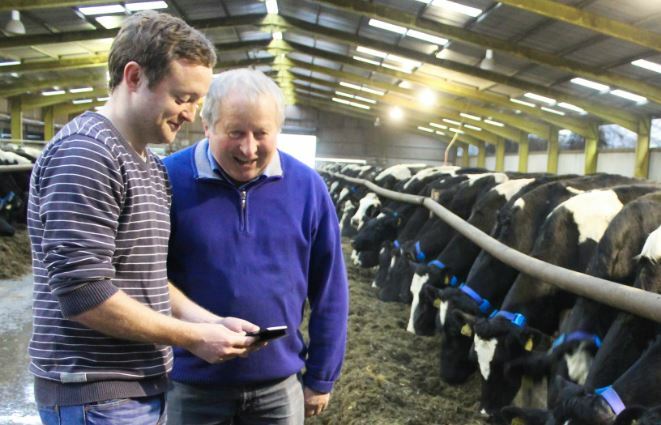 The wireless system detects sick cows and it sends an immediate notification to the farmer’s phone. Provides farmers, employees, vets, breeders and nutritionists with secure access to farm information. It provides rumination data to farmers, which is an indicator of animal welfare. The system pushes animal behavioural alerts which makes farmers aware of changes in behaviour which may indicate illness. The device also features a battery which can last up to 10 years. 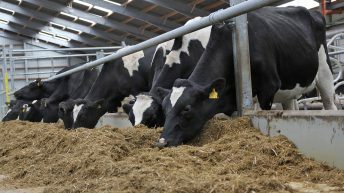 It can be installed on any dairy farm, regardless of the equipment already in place. 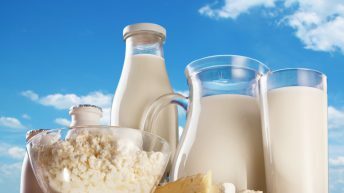 Analysis: Where now for Irish dairy prices?